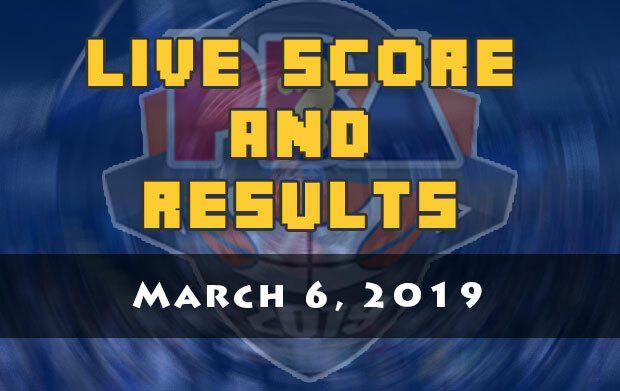 Here are the score and the results of the PBA games scheduled on March 6, 2019 (Wednesday). For the second match it will be the game between the Magnolia Hotshots Pambansang Manok and the league’s considered as the black horse, the Phoenix Pulse Fuel Masters. Jio Jalalon and his local fans in Cagayan de Oro helped his team to get its first win this season after four attempts. Hotshots head coach Chito Victolero wanted to keep that momentum as they face the All-Filipino top squad in the elims. For the Fuel Masters it will be the start of their real test and find out if they’re really a legit trophy contender this Philippine Cup. The first game is between the Columbian Dyip and the Rain or Shine Elasto Painters. If there’s one thing RoS haven’t done last season apart from winning a championship trophy, without a doubt, that is winning against the Columbian squad. The Dyip had their grand slam version during the PBA 43rd season where they swept all of their elimination battle with the Elasto Painters. Columbian head coach Johnedel Cardel are looking to continue that trend.